The world was different back then: In 2008 I became intrigued by the question of what online social networks were good for. It was a time when this kind of technology was less familiar to the general public, but thankfully not alien to a few geeky members of the Scattered Authors’ Society who supported me in research about online commentary on fiction texts. 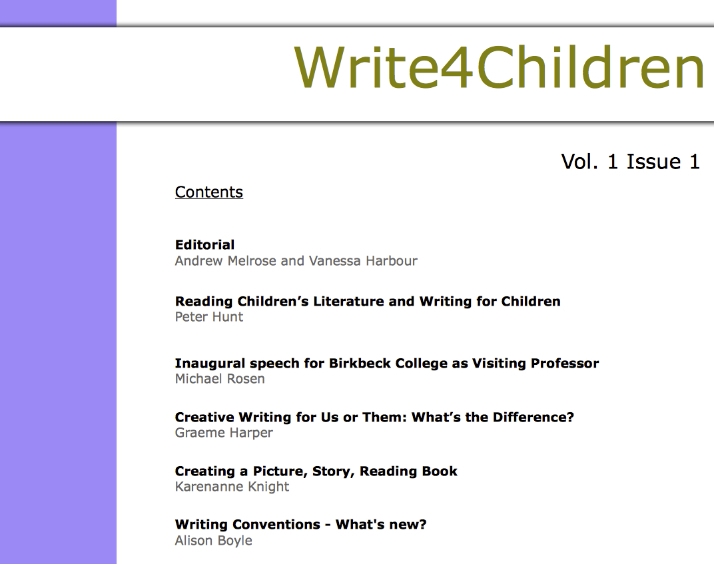 What I discovered was published alongside a piece by Michael Rosen. In the years that followed, although my curiosity about technology remained, I decided not to adopt it directly for authorial purposes. 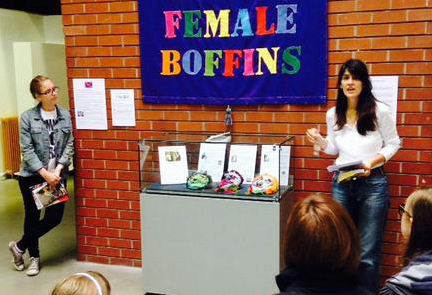 That is until last year when two things coincided: my curation of a community exhibition at the People’s History Museum on the Salford/Manchester border, Colours, Community and Chemistry and a website in need of updating. 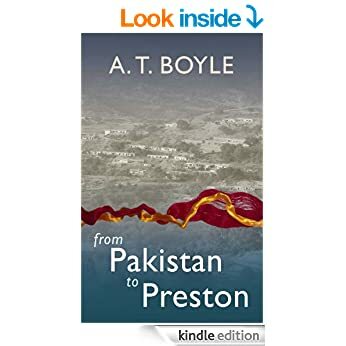 The starting point for both was a crossover novel written with my father, from Pakistan to Preston. 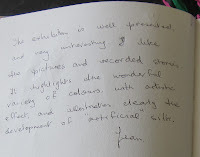 For the exhibition which drew on the book’s themes, I made sound recordings of craftivists, feminists, academics and working class Northerners, we all took photos (including of the exhibition’s Comments book) and started a simple blog or wrote for each others’ blogs. 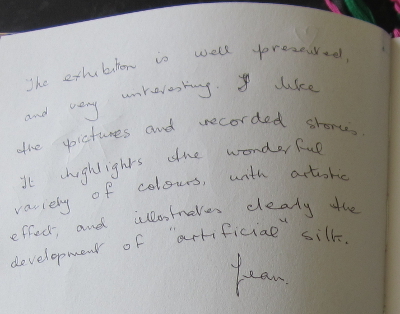 My new skills, or sped-up skills, came in handy when relaunching a website that included multimedia about the exhibition rather than having too tight a focus on the book. I found Wordpress much easier than organising a website from scratch, and free applications like Audacity were easy to pick up for editing people’s voices. I embedded lots of 1-minute sound files on the web pages about the exhibition, offering different ways in to the original story, as well as different stories. 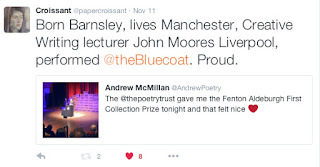 2015 was different again: This year I launched a presence on LinkedIn and Twitter (@papercroissant). What were the results? Well, it depends on your measures. I quickly connected with people on LinkedIn by roving around, and the numbers would be bigger if I checked in more often and clicked without thinking. Five months ago I sneaked into (or is that onto?) 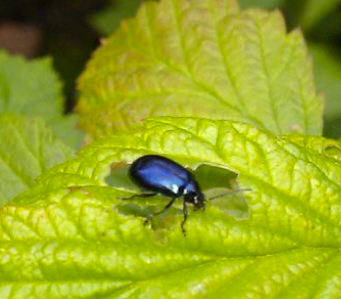 the Twittersphere by choosing a couple of images for my profile page: the background of a startling blue beetle on a raspberry leaf that startled me one morning, and a portrait by English painter Geoffrey, made in Venice. My first tweet took just under an hour to construct, the second just under under an hour, etc. I’m still not speedy because I try and find a new angle and related image. When people in the same space (physical or virtual) are commenting on the same event, I’ve found the connections more satisfying than I imagined. And it’s a good place to celebrate other authors’ achievements. Technology enables connections with strangers, but all that chat can feel like a cacophony. 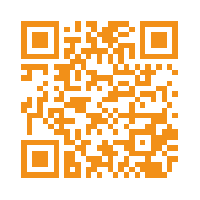 You are very welcome to join me and my modest 138 Twitter followers and 149 connections on LinkedIn, and to come over and see my web pages sometime – where you will be introduced through text, image and sound to some of the people I know. With so much technological choice it’s nice to join with people you’re acquainted with from the physical world, as I found from my research seven years ago. But that isn’t always necessary, and diving in a bit deeper has brought new discoveries that are not just about modes of communication; they’re helping me to reflect on creativity itself. 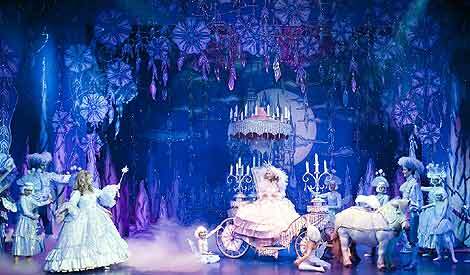 From BBC archive Churchill Theatre's Cinderella. When I was a child my grandmother would take me to the panto in Cardiff each Christmas. I would squirm with embarrassment at the audience participation, but I adored the transformation scenes when the lights would change to flood the stage with magic; a pumpkin became a coach, a servant girl a princess, and the beast the handsome prince. I’ll be honest Panto is not a great preparation for life - don’t get me started on frog kissing, or on lying around on a bed of thorns waiting to be rescued - but it fed my imagination as a writer. 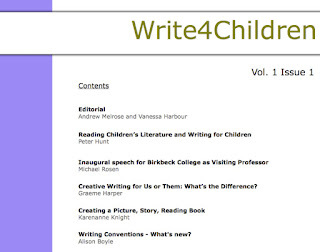 Everyone knows that writing is all about transformation. Words on a page transform into story, the story transforms into a book and the humble scribe, by dint of performing a set of obscure magical tasks, is, with publication, transformed into a real writer just as surely as Pinoccio becomes a real boy. Once I accepted the logic of this, as I accepted that a bit of slap, glitter and the glamour of a shimmery dress made a maid a princess. You will be relieved to discover that I’ve grown up a bit since and I know that real life isn’t like that. As a teacher I read a lot of unpublished and published writers and though they all fit somewhere along the continuum from truly dreadful to mind-blowingly amazing, the unpublished are not all clustered at one end and the published, squished at the other. As you all know, you can pay good money for utter tosh and cannot find the good stuff on the bookshop shelves at any price. Selling a book to a conventional publisher is no longer the moment when the magic is unleashed, when the wannabe is bathed in metamorphic light and turned into the real thing. Many self published writers who have missed out on the fairy godpublisher’s blessing are as real as you can get and others, some even dancing in the limelight, are still waiting for the magic to take hold. Sadly I’ve come to realise that there is no single magic moment, one flashy transformation scene full of glitter and explosions and applause. It is like all real life transformations, slow, faltering and a little bit painful and often achieved in secret with no one but the cat ( who probably can’t read) to notice. It takes practise, has many slow starts and even reversals. I think it happens, often almost by accident, when suddenly your words on the page pop and sizzle and sparkle with metamorphic power. That’s when you’ve done it, even if you’re still in rags and the spotlight is focused on another stage. I can see why I loved the Panto: the transformations were so much simpler. I have recently emerged from reading Mari Biella's scary, ghostly and disturbing novel: "THE QUICKENING". I'm usually a slow reader, with an uncomfortable tendency to abandon a book and come back to it later - 'later', in this context, meaning anything from days to weeks. Ruth Rendell, however, with her psychological intricacies and insights into the nastier side of humanity, has always grabbed me by the throat, and once 'into' a Ruth Rendell novel, I don't emerge until I've seen it through, although there have been a few exceptions. THE QUICKENING grabbed me in precisely the same way. I found myself deeply involved with the tragic protagonist, but also with the strange, flat landscape of the Fens (note to self - must go there one day) and the wild and unsettling weather, both of which form the vivid backdrop to this story. I don't often write reviews, but this book impressed me, so thank you, Mari. 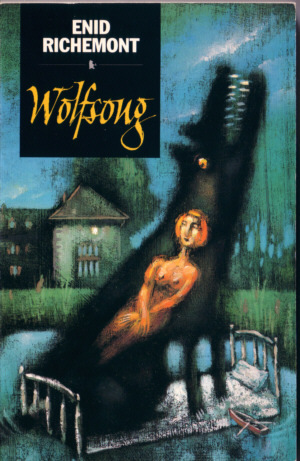 On the right (I hope) is the cover image of "WOLFSONG"amazon.co.uk/dp/B00846FYX0, my Y/A novel first published by Walker Books and now long out of print. I'm reluctant to post this image on my Facebook page: "Enid Richemont Children's Author", because it's a bit too explicit. It was actually painted, in oils, by the now deceased Canadian artist, Richard Parent, and I got to see the original at Walker, which was rather wonderful - the only one of my many book cover images that was an actual painting. I'm mentioned this, not only as a small bit of publicity for the ebook - there is so much story behind this novel - but because I've recently been talked, by a writer friend, into having my first adult novel, "COUNTERPOINT", written on a typewriter all those years ago, professionally scanned, edited, re-typed and sent to my computer. This was a book written with a passion I've never experienced since. It's awkward, highly personal, very much a 'first novel', has many typos, and when it was written I didn't give a damn whether it was published or not because it felt so important to me at the time and I was so lost in the writing of it that sometimes I didn't know where I was. It was like being drugged. Tomorrow I may, or may not (depending on the weather and my own strength) be attending a curious, and secret, meeting in Covent Garden, its subject matter being the right to choose the time and nature of one's own death. We are, very slowly, bringing this previously shrouded subject into the open, with Death Cafes are springing up everywhere. Interestingly, it seems to me that the USA lags a bit behind in this, although it is, and always has been, in the forefront of death commerce (when we lived in California and I was pregnant with my daughter, we were bombarded with leaflets for funeral plans, which used to make us giggle). However, one of my favourite picture books had the 'D' concept removed by US publishers - too disturbing for under-fives - thus undermining the whole narrative (and this from a country with serious gun control problems, but don't get me started on that one). Young children are as curious about death as they are about everything. 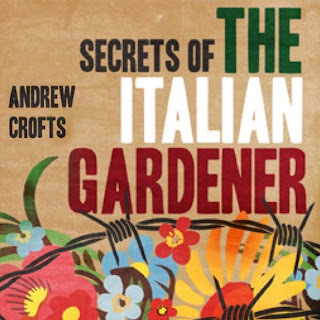 So, working on the theory that the more platforms a book appears on, the better its chances of getting noticed, I decided that it was time to create an audio version of my novella, Secrets of the Italian Gardener. (It is already available as a paperback, a hardback and an e-book). As promised in an earlier posting on this site, this is my account of the audio-adventure so far. It all starts with ACX Audible, (easy to Google up). This company is owned by Amazon – like so many good things in the new publishing world. Once on the site you tell them your requirements and put up an extract from the book which actors can use as an audition piece. This is the first stroke of genius. The actors can audition for you without any of the embarrassment of face-to-face rejection – you know the scene; the starving thespian gives their all in an empty theatre to a bored director sitting in the darkened auditorium, only to hear the words, “thank you, we’ll be in touch … next!” I did not want to be having to say that to anyone. Within an hour or two of me submitting the brief the auditions started to arrive in my in-box. Each time a new one was up-loaded by an actor, ACX sent me an email and I was able to listen immediately. Within two days I had received nearly thirty. A large proportion of them were from Americans who did not even attempt an English accent, despite the fact that I had requested it in the brief, so that narrowed the field and helped with the final decision. Although they are all professional actors/voice over artists, they are also described by ACX as “producers”, meaning that they have some sort of computer/studio set up. They know how to record and edit as well as do the reading. All good news since I had no idea how to do any of that. ACX also asks you to stipulate the sort of money that you would be willing to pay, measuring it by the number of hours the final reading will fill. 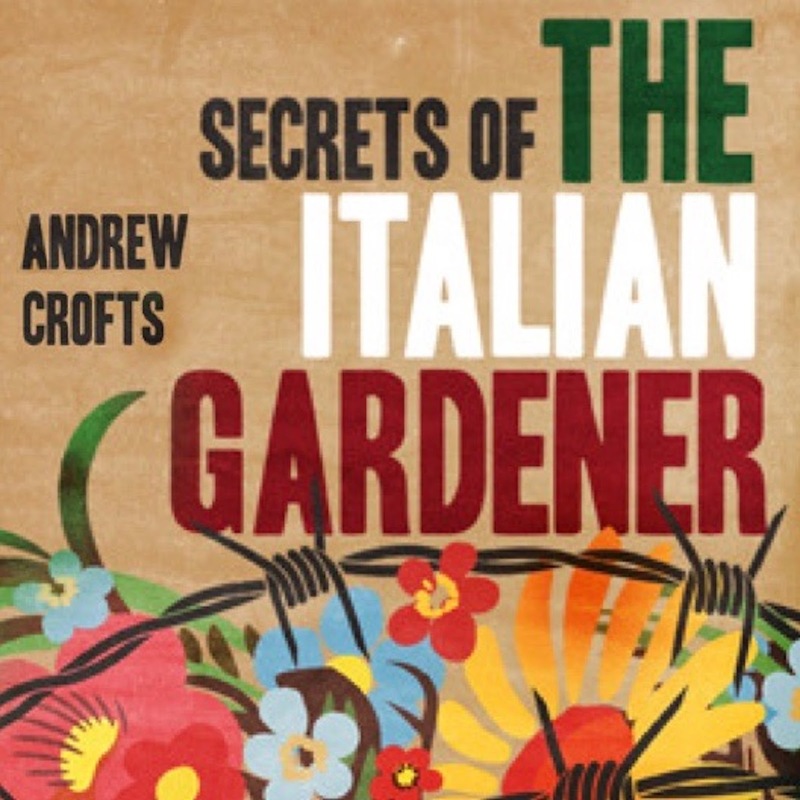 Secrets of the Italian Gardener is only about 40,000 words long and would therefore come out at a bit under four hours, (a calculation which ACX does for you). I had said I would be willing to pay up to $400 an hour, so the final bill would not rise above £1,000. I chose an English actor called Matthew Lloyd Davies, whose audition piece sounded most like the voice I had imagined my narrator to have, and who had a great deal of experience in audio books. Matt responded with total professionalism. ACX require that the actor/producer first does a fifteen minute sample, but Matt did thirty minutes. I happily accepted the sample and he went on to do the whole book, delivering it nearly three weeks before the promised deadline. It is not an easy book to read out loud because of the varied nationalities of the characters including a Middle Eastern dictator, an elderly Italian, an English narrator, his American wife and two other female characters, one from an unspecified Eastern European country and the other the product of an Indian father and French mother. Matt negotiated them all with aplomb. I had no hesitation in approving the reading. The next step ACX required was a cover design and here I hit my first hiccup since it had to be square, (there were other technical requirements which were double Dutch to me), meaning that I could not upload either of the existing cover designs. Matt galloped once more to the rescue, creating a new design which the ACX system accepted. All that remained to be done was for me to pay Matt and for Amazon to approve the book, a process which may have been completed by the time this posting appears. A fantastic experience – thank you Amazon and thank you Matt! Ireland is a beautiful country, at the price of the frequent rainfall of course, but the countryside isn't very accessible. Here in Kilkenny there aren't many options for country walks, especially dog-friendly walks. One of the few places I can take my furry little bundle of joy for a good long run is Millennium Forest. Two hundred and thirty acres of woodland, this is the largest of sixteen Irish millennium forests that were planted in the late 1990s with a tree for everyone who was resident in the area at the time. It's matured nicely and the man-made aspect has been softened by time and nature. The various routes through Millennium Forest take between half an hour and two hours to complete and are surrounded on all sides by densely planted oak, ash, birch, alder, cherry and spindle (I've never heard of spindle before). An established stream criss-crosses the land, passing under the paths in several spots and providing a nice place to stop, meditate and watch the flow of water rushing over stone, especially after heavy rainfall. This land contains some older stands of spruce and several oak trees over a hundred years old. One of the largest oaks forms a natural floor clearing in the centre of the forest and this is a favourite stopping point for myself and Alfie. I do a bit of sitting on the bench and contemplating the meaning of life (or the next chapter of my WIP) while the dog does crazy circuits around the tree trunk as if he were chasing or being chased. This is one of the rare times that the whites of his eyes can actually be seen. In spring this year, as the trees were budding, I was walking in the forest with Mrs R and our two kids (young adults, they would say). We reached that large oak tree clearing and took a seat on the bench, the wood dry for the first time in months. And what did we see on the old oak tree? No, not a yellow ribbon but a small red wooden door. About six inches high with a curved top, it was complete with door knob, letter box and two small butterflies. This fairy door was located at the base of the trunk in a slight hollow. I wish we had taken a photograph on that day, but we didn't have the presence of mind to do so and I generally prefer to use my visual memory rather than a phone or camera. The fairies had made good use of a couple of bits of Lego as ironmongery and the door was held in place by a sturdy screw. We all enjoyed the idea of an imaginative parent creating this fairy door for their children and, although our own kids are a bit too old for that sort of thing, we all let ourselves wonder about what might live in the tree and these older parts of the forest. During the rest of spring the base of the tree was decorated with bunches of wild flowers picked by small children - or maybe the fairies themselves. The green leaves of the big old oak unfurled and formed a mysterious impenetrable canopy. Mrs R and I recalled Enid Blyton's The Faraway Tree, the cast of strange and wonderful characters and their adventures. Over the following months the Irish weather slowly took its toll on the magical door. The decorations fell away, only the letter box and door knob remained, but it was still functional as a fairy doorway into our world. Then the glue the fairies had used for their Lego pieces also failed and only the red wooden arch-shaped door was left. In time that came adrift from the bark of the tree and was placed in different spots around the trunk. In late summer the door had been moved around the other side of the trunk, a couple of feet off the ground. The fairies were getting better at jumping, I figured. Then one day, at the beginning of autumn, Alfie and I were walking, just the two of us. Mrs R was in a Dublin hospital with her family, anticipating the imminent passing of her mother after a long illness. My phone buzzed and I took the call. She had passed away peacefully. 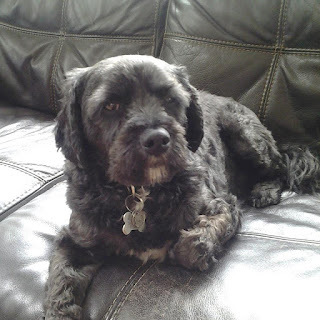 Alfie and I walked solemnly on to our resting place and I took a seat on the bench. Alfie nosed around the base of the old oak but didn't do his usual crazy circling of the trunk. At that moment I noticed the door had gone. The gateway to the fairy world had closed. I’m lucky in that I have two brothers, Andrew and Adam, who are both talented artists. Andrew Price, designs most of my indie-covers. Here's a round-up of PriceClan projects just now. We've re-issued my successful picture book, The Runaway Chapati. As with The Wolf’s Footprint, people (especially teachers) were forever asking me where they could get copies. ‘Chapati’ is The Gingerbread Man with added spice. I asked my brother, Adam Price, if he’d like to illustrate a new edition. And here it is. 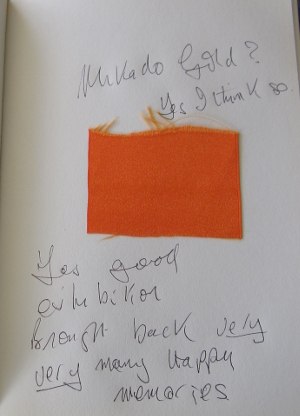 I asked Adam to make the pictures vivid, and he drew inspiration from his love of India and its colours. 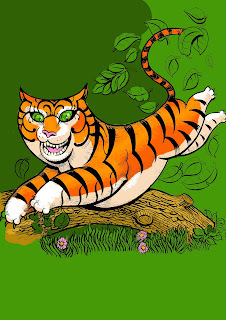 The chapatti’s nemesis is a tiger, not a fox — and here is a sketch for Adam’s wonderful, springy tiger. Copies signed by the author and artist are available from my website. Adam has also written and illustrated his own picture-book: Tinku Tries To Help. 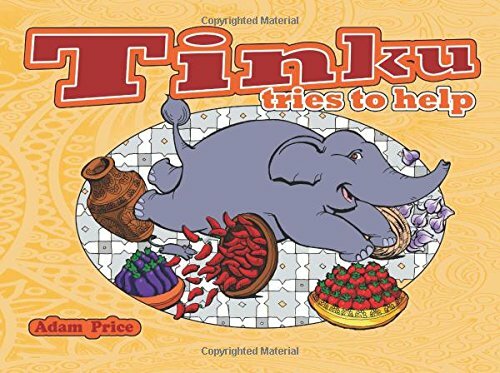 Tinku the elephant lived and played. Told in rhyme, it’s a tale of a little elephant who tries very hard, but with more enthusiasm than skill, to help with preparations for the maharajah’s wedding day. 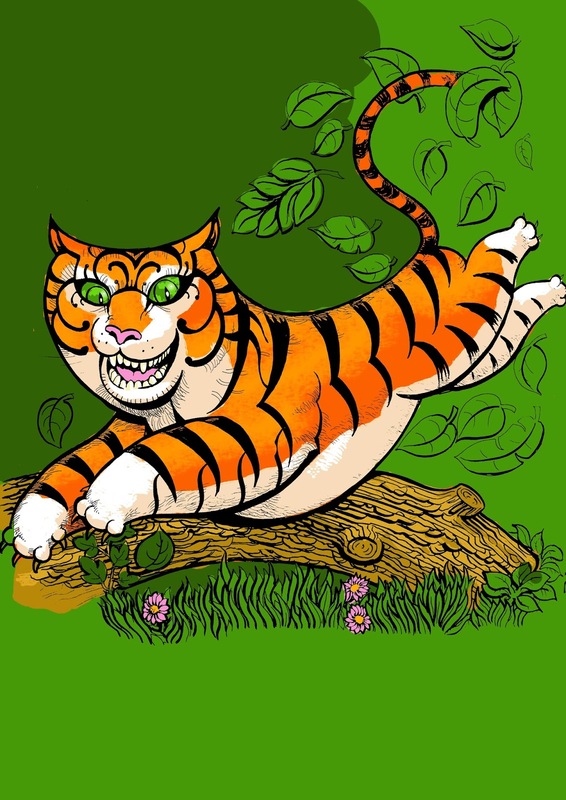 The story's end end is full of love, and has a surprise which sends the readers back to the beginning to search every page of the detailed and colourful illustrations. I can only say I’m jealous. I wish I had written it. It’s ideal for snuggling up with a small person while looking at the pictures, and laughing at Tinku’s mishaps. It’s available as a paperback from Amazon — or, for a little extra, you can buy a signed copy from my website, dedicated to your own small person. PriceClan Publishing seems to be going into picture books in a big way – well, with two artists at hand, why not? 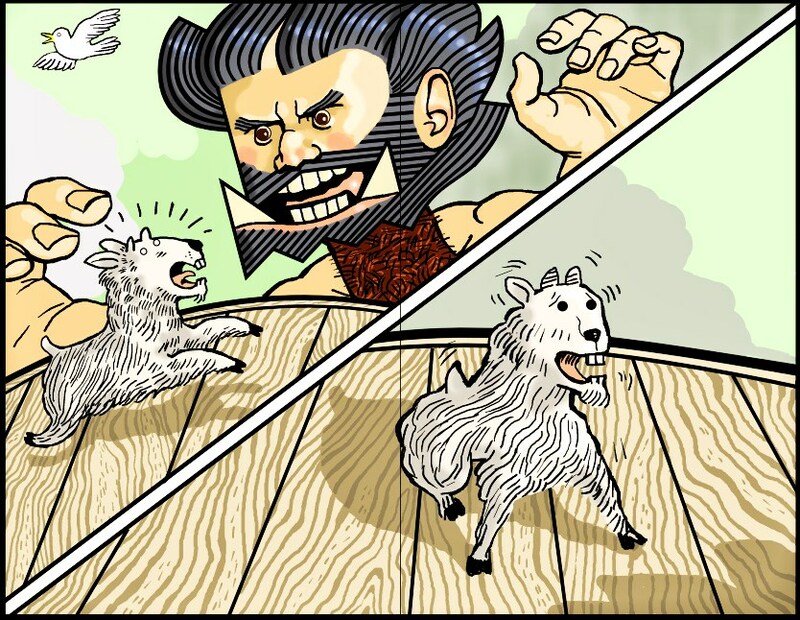 Brother Andrew and I are working on a picture book of Billy Goats Gruff – though we’re meeting lots of problems. We will get there. Andrew has used a comic strip approach — here’s a sketch. The story will be told with speech-bubbles and sound effects. 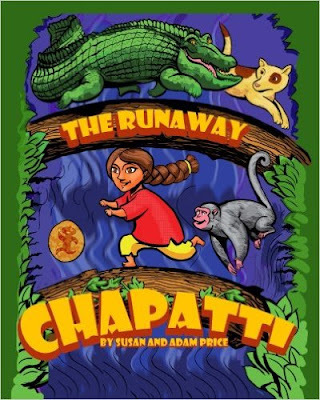 Like The Runaway Chapati, it will be an effective aid to teaching reading, with lots of repeated words and sounds. 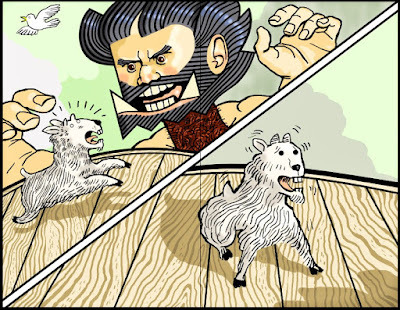 ‘Who’s trip-tripping across my bridge?’ As with a comic, 'trip, trip, trip' will be written under the goat's hooves. Despite set-backs, we still hope to have the book on sale for Christmas. 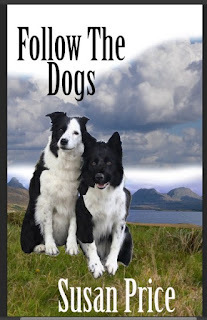 Finally, I’m working on my book Follow The Dogs, which will be my first entirely original self-published book — all my others are re-published back-list books. 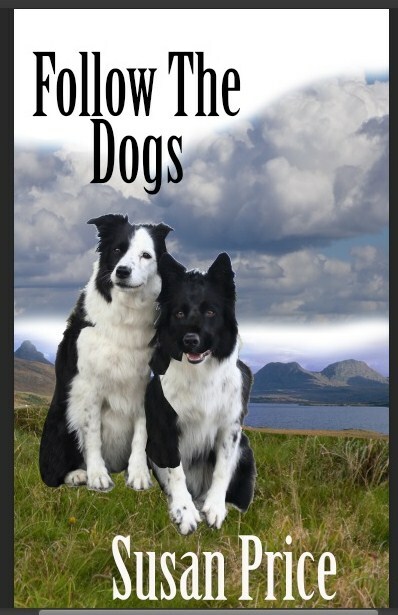 Follow The Dogs is based on my reading about the drovers’ dogs who accompanied their masters as they drove cattle to market in the late 18th and early 19th century. The cattle had to be walked slowly, so they wouldn’t lose weight, and by the time they reached market, the harvest was ripe. So the drovers stayed to earn extra money by helping with the harvest. However, the farmers they worked for didn’t want the herd-dogs around their farms. So the drovers told the dogs to go home by themselves — and they did! The dogs walked by themselves, sometimes for hundreds of miles, to reach home. They were fed at drovers’ inns along the way. Later, when the drover made his own way home, he paid the inn-keepers for the dogs’ food. 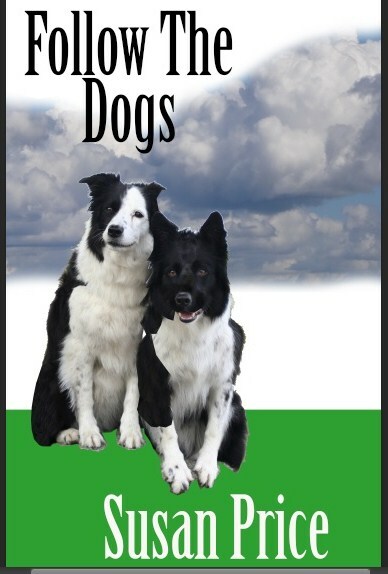 My book tells the tale of a boy escaping from bad treatment who falls in with a couple of drover’s dogs, who adopt him. Having nowhere else to go, he decides to follow them to wherever they’re going — with a desperate hope that, like a stray dog, he’ll be taken in wherever it is the dogs call home. Brother Andrew is teaching me to use a graphics programme so I can design the cover. It isn’t easy — but with Andrew’s help, I’ll manage it. Here’s an early peek at the work in progress. 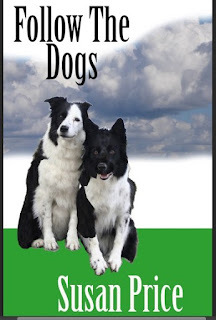 In the book, one of the dogs is almost entirely black, but I couldn’t find a modern photo of a black collie, so part of what I’m learning with the graphics programme is how to make a mostly white dog mostly black. 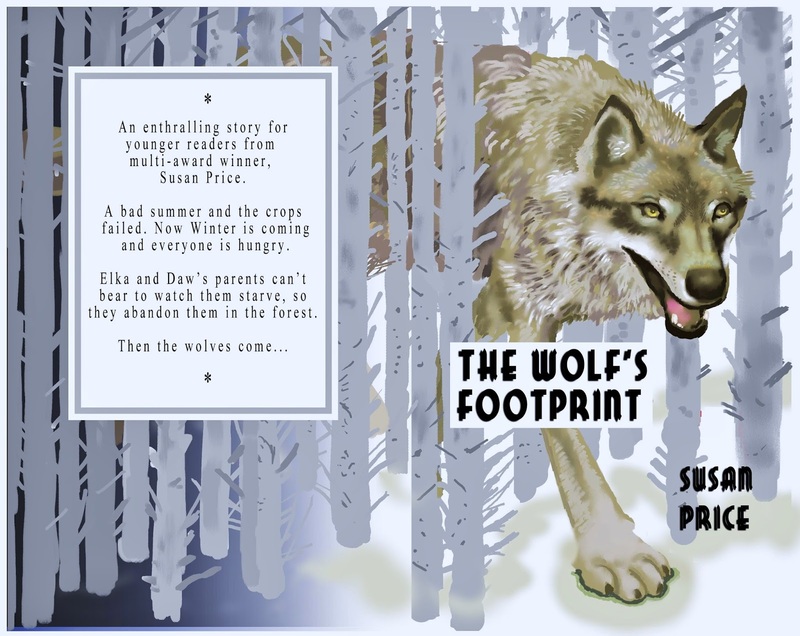 Finally, my book, The Wolf’s Footprint, is still selling steadily in its new PriceClan edition. It begins, like Hansel and Gretel, with children being abandoned in the forest. When the book went out of print, I had many, many emails from teachers asking where they could find copies. I put the few I had up for sale on my website – they were bought almost immediately. So I commissioned my artist brother to produce new illustrations, and republished it as a paperback. It’s now available as an ebook and a paperback.